Today's 22 October. The day Windows 7 is released. 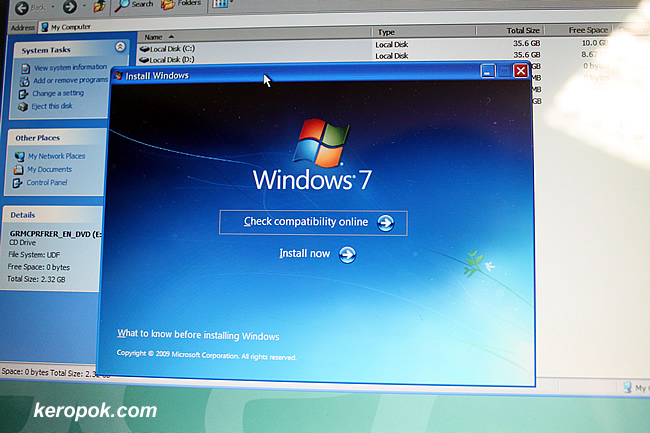 There was a queue forming at a local store last night to be the first person to own a copy of Windows 7! 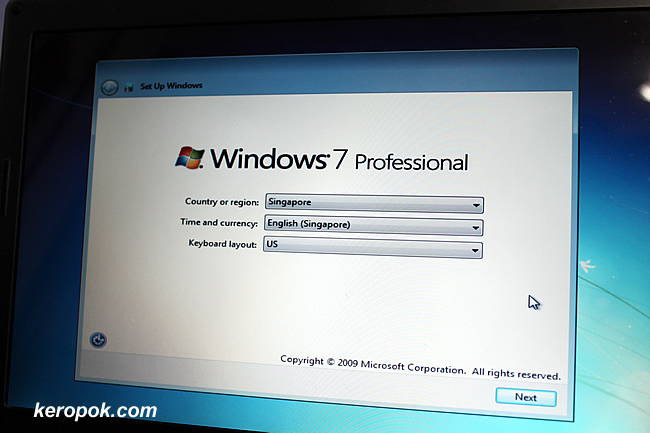 But if you are a computing student at (the best and name starts with National) local university, you would have been able to download from Microsoft itself legal copies of Windows 7 way before that. It's for students to test and play around with it. That's me installing it on an old old notebook! Look at the storage space! LOL.. Surprise, surprise, it works and it works well! I use Windows and Unix person at work, and a Mac person at home. Do I sometimes get so confused! Many years ago my boss "forced" me to use a Mac; I can never go back to "the dark side". I hear that this version of Windows is slightly better than some of the previous, though. Hubby noticed the 0007 opening time at Funan Centre. It's just like him to pick out the crucial detail - haha. We r both Win users - yay ! Btw, hv u ever had trojans messing up ur PC ? It's a nightmare ! Haha... Ya, this version is much better. I like using it! No, never had trojans, because I dun usually open attachments in my email. hehe..